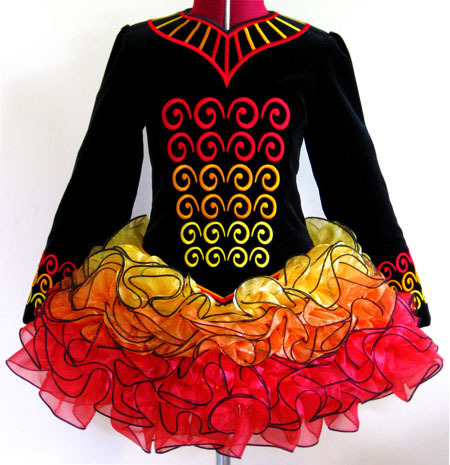 Rich black velvet bodice and sleeves, with yellow, orange, and red embroidery design. 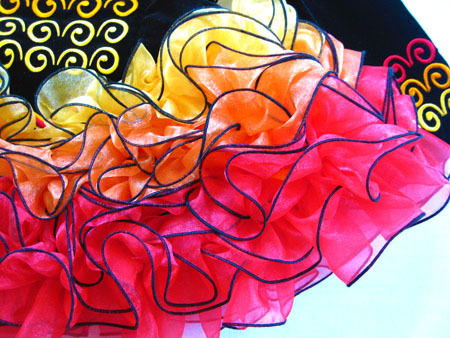 Adorable cupcake skirt ruffles in yellow, orange, and red organza with black trim. 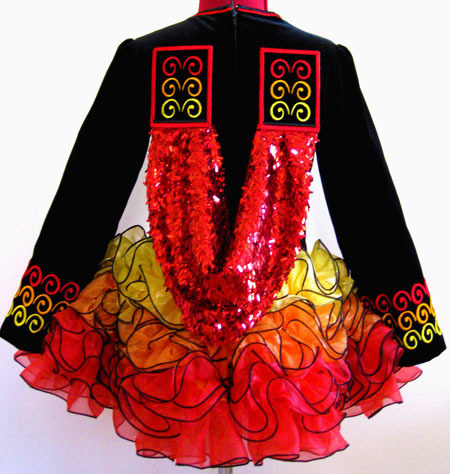 Double shoulder shawl constructed from dazzling red flicker sequin fabric. Orange skirt lining with white ?star? design.